Posted Wednesday, May 22, 2013 6:18 PM EDT by HAMILTON SPECTATOR & filed under Barton St..
Let this statistic sink in for a moment. There are 26 properties along the Ward 3 portion of Barton Street East that have been registered on the city’s vacant building list. There are 25 vacant buildings registered with the city for Stoney Creek, Ancaster and Dundas combined. 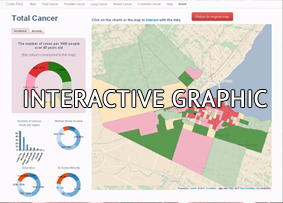 In fact, the 140 vacant buildings in Hamilton’s inner-city Ward 3 outnumber the 122 found in all five suburbs and three Mountain wards combined. The problem of vacant buildings is particularly acute throughout Ward 3, but most specifically along its Barton Street portion. 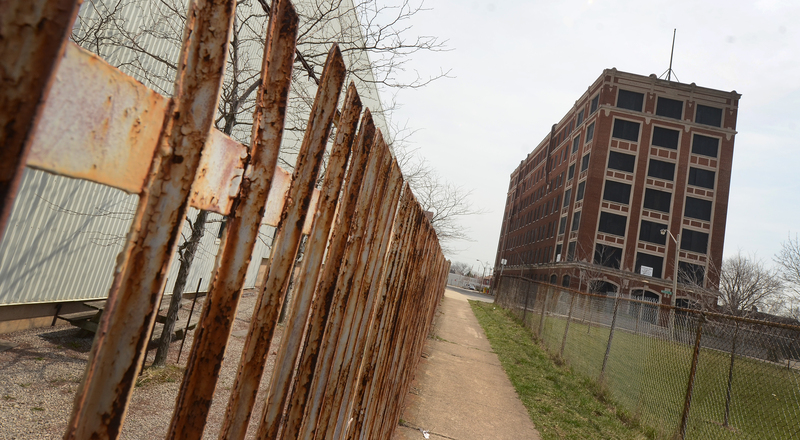 And nowhere is Barton Street’s problem more pronounced than on the stretch between Wentworth Street and Sherman Avenue, where nearly half of the 26 vacant buildings are located. That’s about one in every eight properties, and it doesn’t include vacant buildings that haven’t registered with the city or others that are vacant at street level but might still have tenants living upstairs. It’s also a problem that’s getting worse. Between June 2012 and the end of March alone, the number of vacant buildings along the Ward 3 part of Barton Street more than tripled, from eight to 26, while the number of vacant buildings in Ward 3 climbed from 85 to 140. Compared to the 26 vacant buildings along the Ward 3 portion of Barton Street, there are nine on the Ward 3 part of King Street East and 10 on Main Street East. Add in vacancies at street level and empty lots and there are 101 addresses – about one in four – on Barton between Wellington and Ottawa streets that are either a vacant building, vacant storefront or vacant lot. So let’s take a stroll and see what we find, starting with the north side of Barton from Sanford to Sherman avenues. At 525, on the corner of Sanford and Barton, is the Trocadero Restaurant, a Hamilton landmark that opened on D-Day, 1944. There was once a proposal to move Hamilton’s health and social services departments into the vacant Westinghouse office building on Sanford Avenue North, just steps away from the Trocadero. 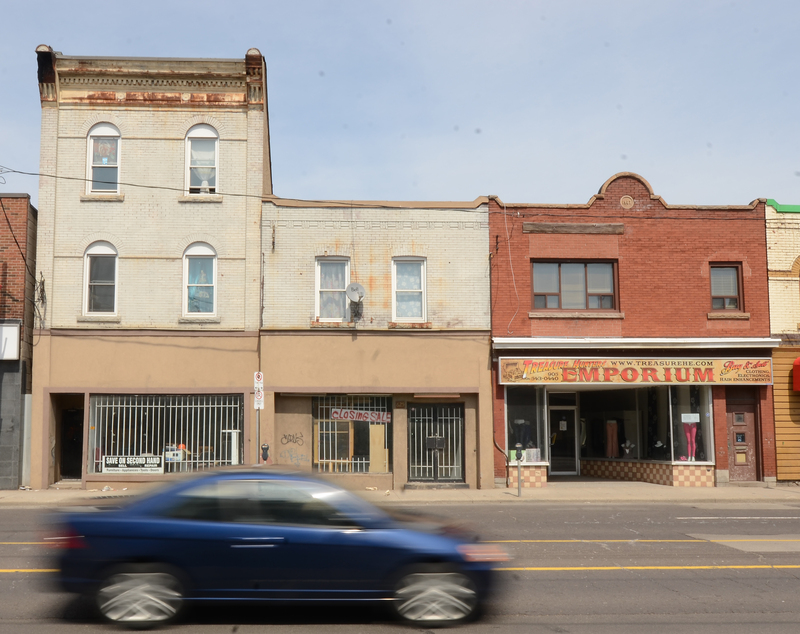 It was an idea that was being cheered by business owners in the area as a way to help combat “the many empty storefronts around the corner on Barton, ” according to a Spectator story. 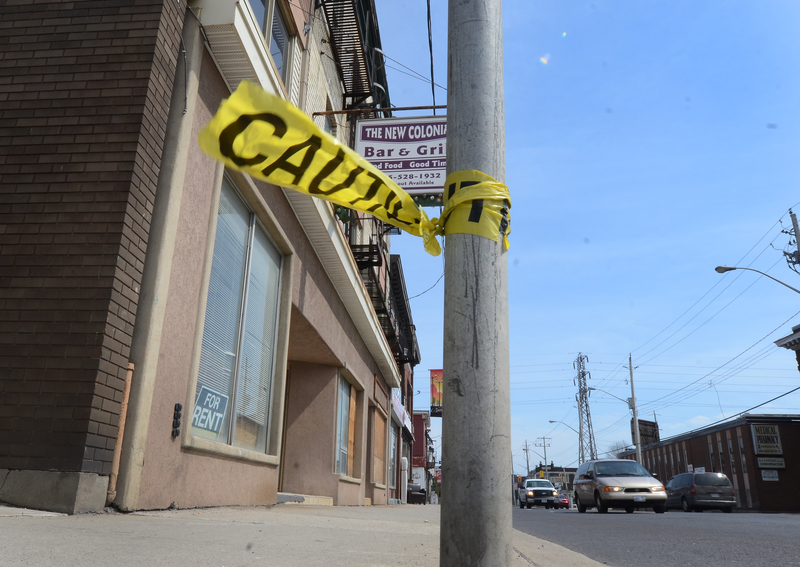 “They’re letting the street go, ” said Robert Alfano, one of the Trocadero’s co-owners. He said that in 1992. Twenty years later, the Westinghouse building is still empty. So are many of those same storefronts, while the Trocadero is now open Fridays and Saturdays only at 5 p.m. In fact, there are even more empty storefronts today than there were 20 years ago. At 563, on the corner of Barton and Milton Avenue, there’s Sewing By Kim. On this afternoon, a rack of clothes stands out on the sidewalk, all items $1. Adjacent to the Barton branch of the Hamilton Public Library is the New Colonial Bar and Grill. The sign reads “Good Food, Good Times” but both of those commodities disappeared some time ago. The main floor has been turned into storefront apartments with steel bars on the doors. Most of the front windows are now plywood sheets and, as of Feb. 13, there was more than $44,000 in tax arrears owing on the property. Plywood also covers the door and window at 587. Even Gibson Public School, now part of the city’s vacant building registry, is sheathed in plywood on this day. At 619, on the corner of Barton and Gibson, is Kenamy Home Decor, an oasis of fine furniture in the midst of a string of second-hand shops and derelict storefront apartments. Steel bars cover the windows at Kenamy. At 625, there’s a deserted storefront filled with second-hand items and a spray-painted sign that reads “Closing Sale.” Next door, Sheila’s Bridal Boutique – empty. Beside that, Maxim’s Family Restaurant – apparently vacated. At 633, butcher’s paper covers the doors and front windows of a place once known as Terimaya Int’l Wholesale and Retail. The building at 659 – empty. Same for 663 next door. 669A – vacant. Paul Nusca’s Clothier – closed. The picture is just as disturbing on the other side of the street. At the Petro-Canada gas station at 564 Barton St. E., the business is shut down on this early April morning, the pumps are covered and the doors are locked and barred. A bailiff’s notice dated Feb. 21 and taped to the front door states the site has been secured by the plaintiff in a long-running court action that has been playing out for several years between the current and former owners of the property. A couple of blocks east, the south side of Barton between Gibson and Sherman avenues is like a ghost town. In the block from Gibson to Chestnut Avenue, five buildings in a row are registered with the city as vacant. At street level, 15 of the 23 addresses on the south side of Barton between Gibson and Sherman are either vacant storefronts, vacant lots or entirely vacant buildings. “It is going to take time to renew the street and people have been working on it for quite some time now, ” said Shelly Wonch, executive director of the Barton Village Business Improvement Area, which covers the area from Ferguson to Sherman avenues. Wonch is optimistic that investments are beginning to flow to Barton Street. “I’m getting calls and emails from people from out of town and in town a lot more frequently now requesting information about properties for sale or rent, ” said Wonch. “We think that might bring interest to some of the storefront properties and what’s happening down here and the assistance they can get from our business community and the city as well, ” Wonch added. He interviewed W.A. Hendry, owner of Hendry’s Shoes at 659 Barton St. E., a few doors west of Sherman Avenue. But time ran out on Hendry’s, literally and figuratively. The clock below the rusting letters that spell out the store name is now stuck permanently at 6 o’clock. Hendry’s has been closed for nearly four years and the entire building, including six apartment units above the old store, sits vacant. It’s one of the vacant buildings on the city’s registry. On a brisk March afternoon, Steve Pocrnic stands in the middle of what was once Hendry’s Shoes. The interior has been gutted and the walls have been stripped to the studs. Pocrnic and his business partner, Ron Kovacs, bought the entire building – three storefronts, the six apartments and modest parking out back – for $175,000 in September 2009 after being approached by the previous owner. “He was tired, the business was tired, the whole setup was dying a slow death,” said Pocrnic. “It was unorganized and it was broken. If anyone has the pedigree to take on the challenge, it’s Pocrnic. He has partnered with major local developer Darko Vranich on other projects around the city and owns another Barton Street property a couple of doors down from Hendry’s that has been completely renovated with a handful of storefronts at ground level and 10 apartments above. He understands real estate, property development and, most importantly, the Hamilton market. With his low-key delivery, Pocrnic gives thoughtful answers to help explain what’s happened to Barton Street and where it’s headed. “It’s evolution a little bit, ” said Pocrnic. “It has to get old and it has to get tired before there’s the economics. “It’s got to drop below a certain price point before someone can take a serious run at it and make it over. For one thing, he said, the business model along the street has to change. “It can’t compete with your traditional retail, ” said Pocrnic. “Once people become accustomed to convenience, like drive-up parking, businesses that understand the metrics of retail will pay for that, and they won’t move back to what’s less convenient, ever. Upstairs, the apartments are stripped down to the studs as well. Pocrnic is wrestling with a problem that seems counterintuitive – the two-bedroom units are actually too large. He wouldn’t be able to command the rents of $1,200 to $1,500 per month that would be needed to support apartments with 1,000 square feet, so he’d prefer to turn the six current apartments into 10 smaller ones with lower rents that would appeal to a niche market. For now, Pocrnic is prepared to be patient. He worries, though, that others will act only with short-term interests in mind. “When the standards are lower than the expectations, then sooner or later you’re going to have to drop your standards and say ‘I’ll just take anybody just to fill it, ’” said Pocrnic. “What’s more important – holding to my standards or dropping my standards for the sake of making a short-term dollar that you know is not going to withstand the test long-term? “If everybody then becomes the weak link and everybody starts competing with each other instead of holding some economic sense of market, then you’re never going to recover, ” he said. There’s an ominous sign taped to the front door at 644 Barton S. E.
Even the Vietnamese Roman Catholic Church has closed for business. The sign indicates that Our Lady of Vietnam parish has moved and is now sharing facilities with Holy Family parish on Kenilworth Avenue North at the corner of Cannon Street East. Next door to Our Lady of Vietnam, the old Aero restaurant building at 650 Barton St. E., also owned by the Diocese of Hamilton, is empty and the tenants from two rental units upstairs have been relocated. A few doors west of Our Lady of Vietnam, the building at 628-630 Barton St. E. is now listed on the city’s vacant building registry. Last June, a Spectator investigation revealed that Rev. Vincent Kim Van Toan, then pastor at Our Lady of Vietnam, owned the dilapidated building at 628-630 Barton St. E. and was renting out its two grimy storefront apartments to tenants. Kim is now pastor at St. Martin of Tours parish in the village of Drayton, north of Waterloo. In a brief telephone interview, Kim said he is renovating the apartments before renting them again. Kim was also acting as landlord and rent collector for the diocese’s apartments above the former Aero Tavern. The Spectator’s investigation indicated the diocese had been unaware tenants lived in the building. John O’Brien, business administrator for the Diocese of Hamilton, said there were several offers of assistance from people in the community to help relocate the tenants from above the Aero. The diocese has put the church, the ex-restaurant and a nearby parking lot up for sale. “It became apparent that those facilities would never form the parish building blocks that would assist that community in growing, ” he said. There is a series of videos about Barton Street on YouTube, the repository of all that is weird, wonderful and occasionally disturbing. Produced by John Kingsley under the pseudonym “mrgionni,” the videos are bleak tableaux of the once-proud street. No. 4 in the series is titled A Ghost Town on Barton Street. It features a sad montage of empty storefronts, some papered over, some boarded up. “Barton Street is the closest thing Canada has to Detroit, ” reads one of the comments attached to the video. “Oh I’ve been through Detroit, ” came one response. “Way less people on Barton Street though.” Ouch. Kingsley now lives in Grimsby. He’s a little surprised someone has tracked him down to talk about his Barton Street videos. Kingsley said he had been selling garden plants and flowers from his former home on Wentworth Avenue North near the waterfront, which could bring him as much as $100 a day. He thought of moving to Barton Street to try selling his plants and flowers from a proper store, and selected a storefront and apartment at 663 Barton St. E., next door to the former Hendry’s shoe store. “It was the worst mistake I ever made, ” reads one of his superimposed headlines in video No. 2, which he called BartonVillage and other Special Mentions. His sales plummeted to $20 a month. Another nearby place “didn’t help. It was sort of like an old Mafia bar or something and these guys hung around in front of the store. “I kind of think that deterred people from coming in,” he added dryly. It’s been five years since Kingsley’s failed experiment as a Barton Street businessman. Even with his admittedly low expectations, he was stunned at what he discovered. “We didn’t interact with a lot of people. Most of the time you just got people coming in, like crackheads, just wandering around looking for what they can lift. “I’m kinda glad to get out of the city, ” Kingsley sighed. The building that once housed Kingsley’s business was bought in September 2009 by Maggie Abril, a Burlington real estate agent, and her business partner. 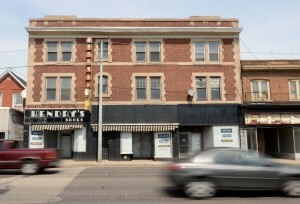 They bought the property, ironically enough, one week before Pocrnic bought the Hendry’s building next door. It cost Abril and her partner just $70,000 to buy the property, which included a commercial storefront at street level and three upper apartment units. But Abril’s building is now entirely vacant, too, and it’s been that way since she bought it. She tried to rent the apartments with no success. Same for the ground-floor storefront. She said she spent $50,000 to repair a leaky roof last year, and has also had to deal with a small fire that was set by vandals, as well as people trying to break into the upstairs apartments. “Right now, we’ve boarded everything up because it just became too much, ” said Abril. She pauses and starts her sentence a couple of times before answering the question of whether she’s discouraged by what she sees in the area around her building. She’s watching to see what happens with the Hendry’s building before she makes a move. “If I see something happening there with renovations, then I can do something as well, ” said Abril. “Then I can attract people who will actually pay their rent so that I’m not losing money. “I’m hoping that something good is going to come of it but, at the moment, I’m not seeing it.